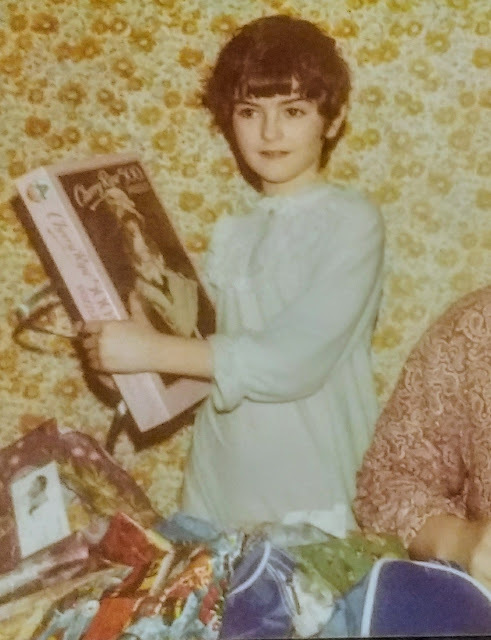 I have quite a bit of history with this painting as it was given to me as a jigsaw one Christmas in the 1970s (hence my very nylon nightie and that wallpaper). Yes, that's me. The 70s shame. It was a very dark and difficult puzzle (which I still don't have the patience to finish completely) and didn't exactly enamour me to Mr Millais. I mean, it just so revoltingly cute. Then, at the Millais exhibition at the Tate a decade ago, I saw it in the flesh and it was brilliant. I was horrified to find that the most chocolate-boxy, kitsch piece of Victorian whimsy was actually breathtaking in the flesh. So who is the cute little moppet in the mop cap? Well, actually that is a bit of a double question. Let's start with the easy bit - the girl in the picture above is Edith Ellen Murray Ramage, aged around four and a half years old. 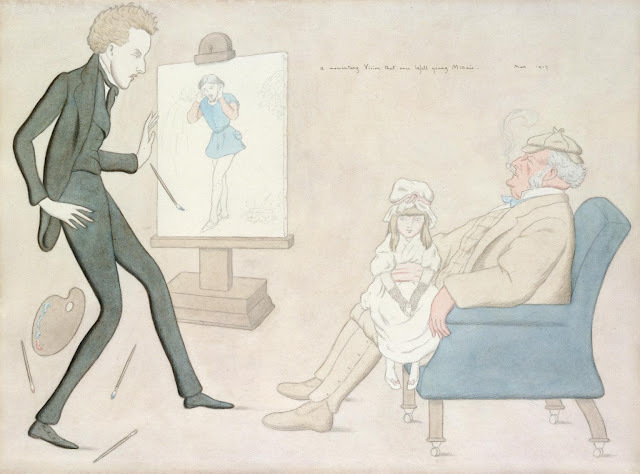 Her great uncle (on her mother's side) was Willam Luson Thomas, artist and editor of The Graphic. 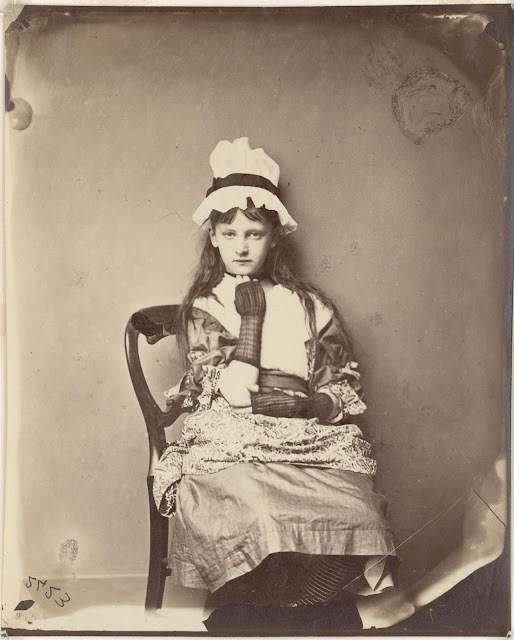 At the fancy dress ball given by The Graphic in 1879, Little Edith, or 'Edie' as she was known, arrived dressed as Penelope Boothby and was the hit of the party. 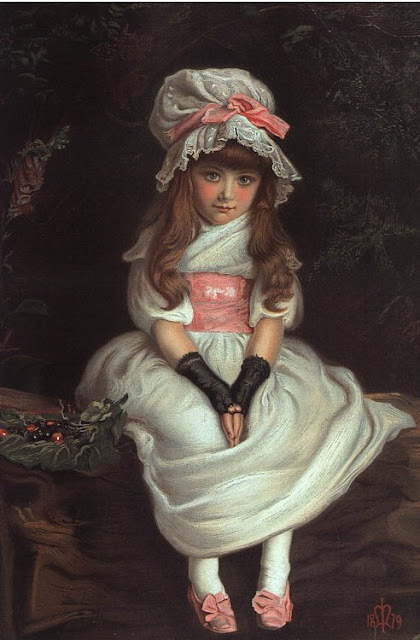 Her great uncle, being either enormously fond of his little great-niece or a man of indisputable business acumen, asked John Everett Millais to immortalise the little poppet in her finery for ever more. Or rather The Graphic asked, with an eye to reproducing the image as an engraving in their Christmas edition, which they did and sold somewhere between 4000,000 to 600,000 issues, according to Millais' son. He claims that, had all the orders for copies, been fulfilled, it would have shifted a million. 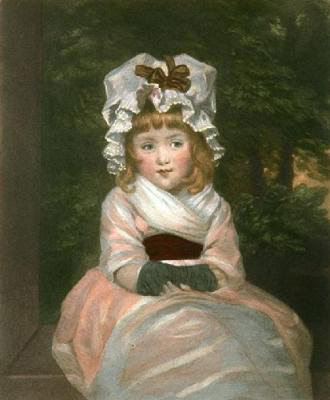 A note about Penelope Boothby - she was the daughter of Sir Brooke Boothby (1744-1824), immortalised in Joshua Reynolds' portrait, aged 4 years old, the same as Edie. If you have ever studied eighteenth century culture, you will be family with the Boothby family as being the subject of this heart-rending piece of poetry - 'The unfortunate parents ventured their all on this frail Bark. And the wreck was total.' This is from Penelope's tomb, as poor little Miss Boothby died at only 5 years old. At a time when we were on the threshold of rejecting the notion that infant mortality was inescapable (for certain classes at least), the loss of their one, beloved child, ruined the Boothbys. Okay, let me just get this off my chest. What sort of parent dresses their daughter up as a girl whose unfortunate claim to fame is that she died early and emotionally desolated her parents?! For crying out loud, I wouldn't even let Lily dress as Hedwig when we visited the Warner Bros Harry Potter tour (sorry if you haven't read the last book). It's creepy. Mind you, look at Xie Kitchin (who does not known how to wear a mop cap properly) who was rocking the Boothby look earlier in the decade. Awful and weird. The fact that The Graphic requested that Millais paint little Edie in her party outfit lets him off the hook on copying a Reynolds picture, although you have to wonder what young, idealistic Millais would have made of older, richer Millais and his habit of accidentally worshipping Joshua Reynolds. Anyway, the Millais painting differed from the original by the inclusion of some cherries of the left, and the reference to the 16th century poem (which became an eighteenth century song). The conceit is that Edie is selling cherries, although that raises some interest questions about employment practices. Anyway, the print was a sensation, so what happened to little Edie then? The Sphere magazine (which had subsumed The Graphic) continued the story in November 1959. Signora de Paula Ossorio had been located and invited to view her small, poppet-y self at the Millais exhibition. She met the wife of the President of the Royal Academy, Lady Muriel Wheeler who then painted her portrait, eighty years after her first portrait, both of which hung at the Royal Academy within a year of each other. Edith died in 1970, at the grand old age of 96. 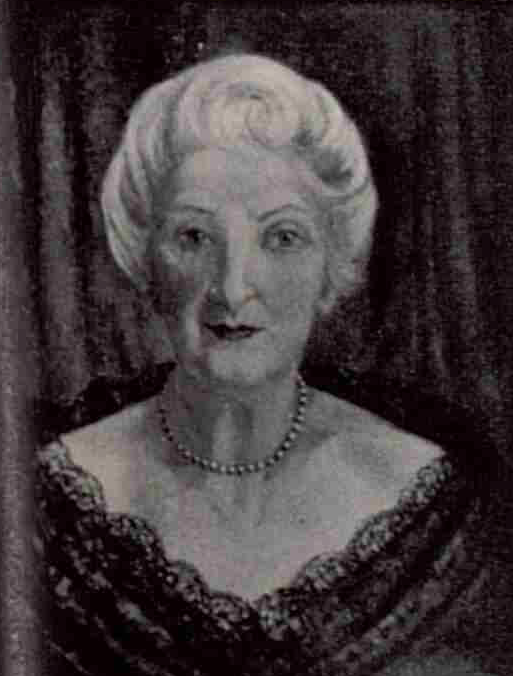 By that time she was a widow living in Devon, and she was buried at Budleigh Salterton in November of that year. Within a few years I received the jigsaw portrait of her, which I grant you is not a massive coincidence but tickled me.